If you are looking for something different for your music entertainment at your wedding, with a special Italian style and that all your guests will enjoy and remember HOT CLUB TRIO is the right choice. Their music can be a nice background or a real fun entertainment. Hot Club Trio plays traditional 30s European music defined Hot Club Music. Combo includes a violin, a solo guitar and a rhythmic guitar. 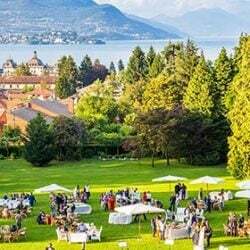 Three very good professionals and skillful musicians who are able to entertain your guests with a wide repertoire that goes from Bossa Nova, Standard Jazz, Evergreen American and Italian classics. All is totally unplugged without bases or special effects. The secret of Hot Club Trio success is a perfect combination between jazz sounds of violin and latin sound of solo guitar: a perfect match that is able to create a romantic and sophisticated atmosphere for your wedding. A timeless music that all guests of all age will love, appreciate and most of all….dance! 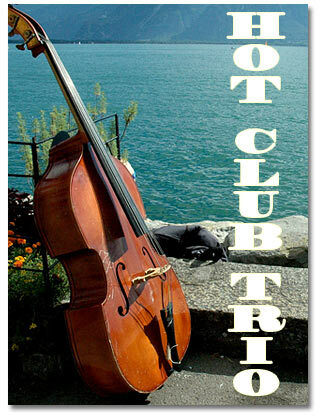 Few days ago Hot Club Trio published a new cd: Swing Trio. For us it is a real pleasure giving you the opportunity to listen 6 tunes from this cd. Just an exclusive occasion! Click on iPhone button here to listen. 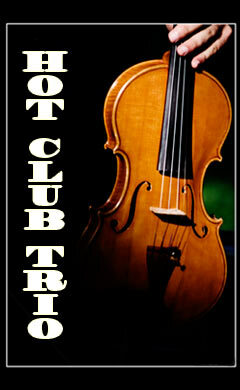 You will love Hot Club Trio music! For further enquires, bookings or simply check the availability, please complete our enquiry form.